I had no idea the level of culinary quality that was available in the Caribbean and especially in Grand Cayman. My only experience of Caribbean food was a reading week trip way back during 2nd year of university where four of us girlfriends went to the Dominican Republic for an all-inclusive. And needless to say, it wasn’t the best quality but hey, we were just looking for a nice beach to lie on for 7 days! 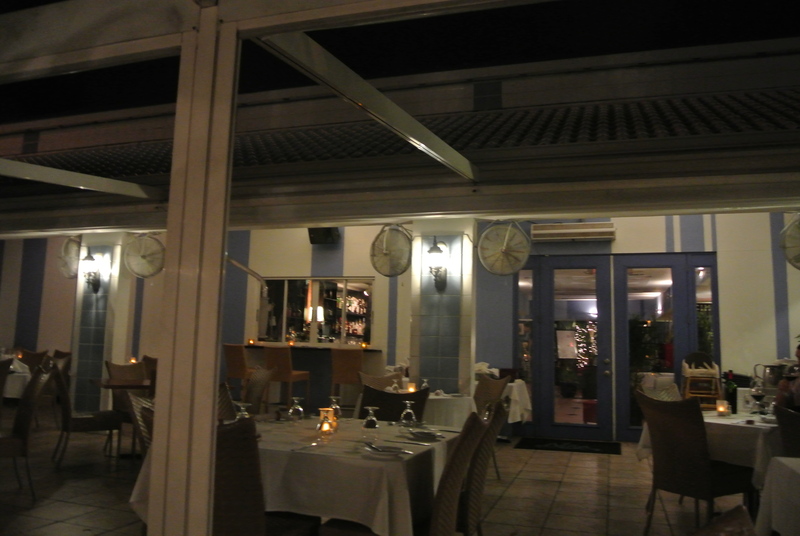 So now that it has been four days in sunny Grand Cayman, I have been thoroughly impressed with the cuisine. That night, it was Agua. This was a suggestion by a number of colleagues. Looking at the menu, their speciality was definitely ceviche and Peruvian tiraditos (basically seafood carpaccio). So we ordered two different ceviche and the trio of tiraditos to start. I must admit, the ceviche was absolutely delicious – probably the best I’ve eaten, especially their Thai ceviche! 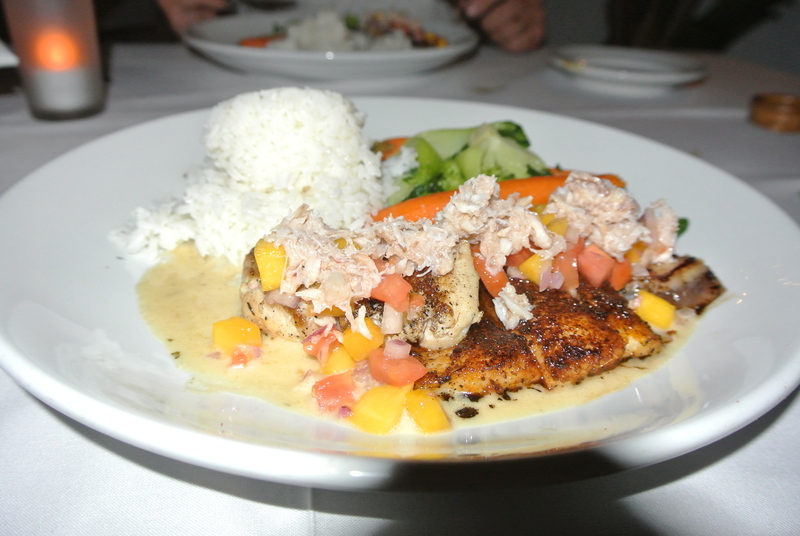 For the main course, I had the mixed grill – gingered tuna, blackened grouper, grilled snapper topped with crab salad. I was stuffed! The restaurant didn’t disappoint – did I mention, the delicious cocktail (lychee and muddled grapes)!!! 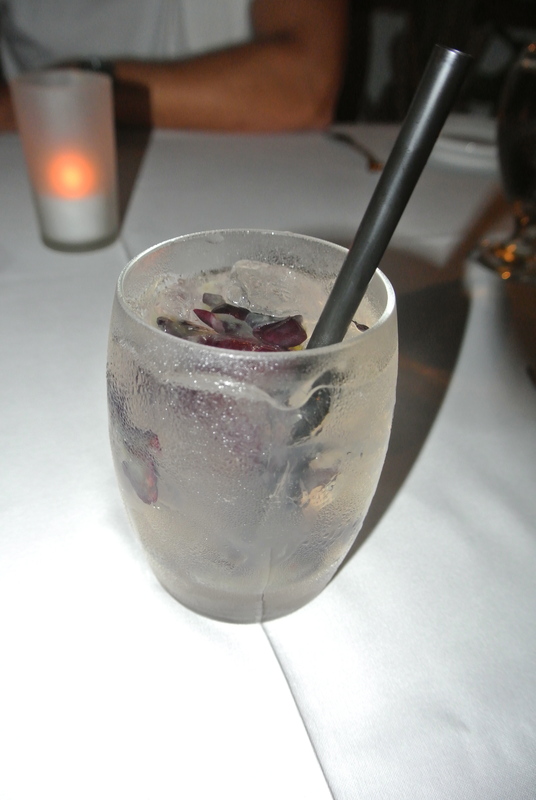 Cocktail to start – Lychee and muddled grapes. 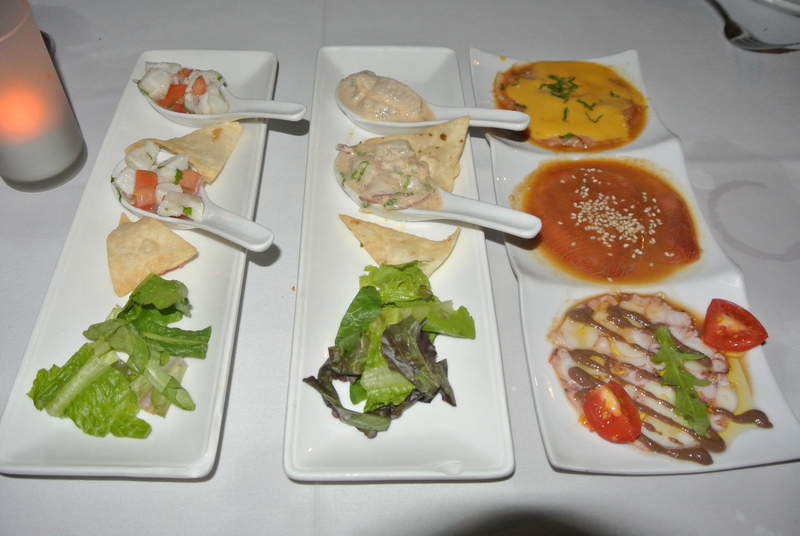 Thai and Cayman style ceviches (in spoons) and Trio of Tiraditos (Wahoo, Octopus and Tuna carpaccio)! The ceviche had chunks of snapper and wahoo with a little spicy kick – delicious! 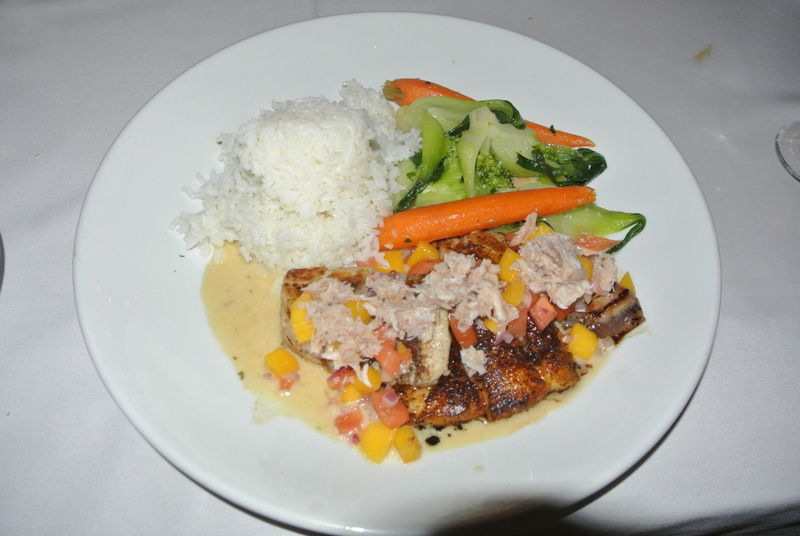 Mixed Grill – grouper, snapper, tuna and crab salad with green curry, rice and steamed vegetables. 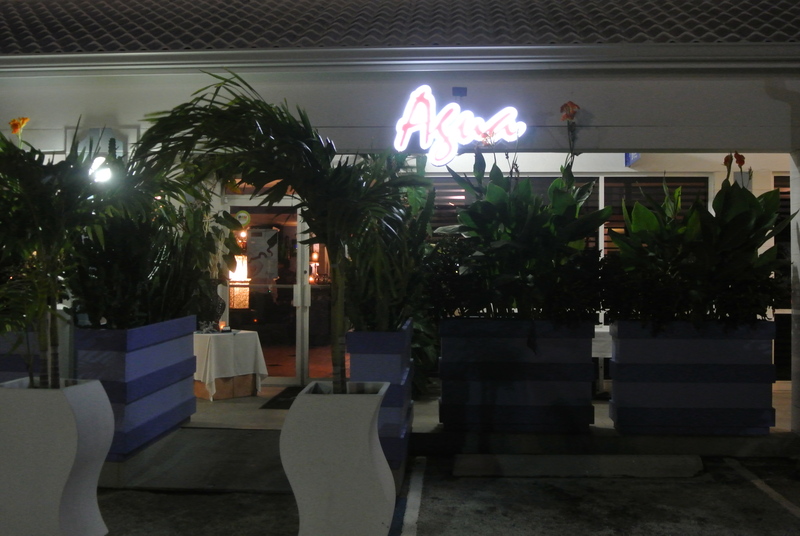 Agua – patio, great on a hot summer night!